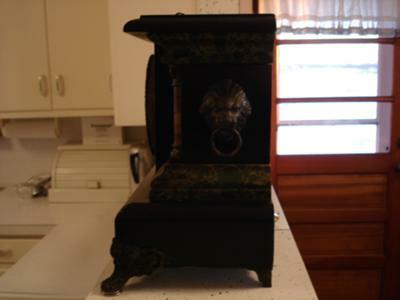 Trying to ID this Black Mantel clock! I think this clock was made by E.N. Welch or Sessions Clock Company but not sure. It sure looks like it by looking at other pictures of clocks made by that company. The clock was purchased by my late grandmother several decades ago. The windup key with the clock indicated "made in Germany" but cannot find any additional info on the clock. 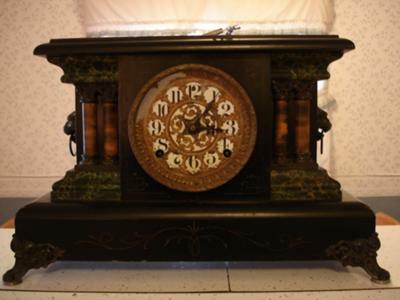 Can anyone help ID this clock and the approximate year it was built?